To view Active Listings in Eatontown click here Eatontown Real Estate. The Borough of Eatontown, home to Eatontown Industrial Park, an ever-growing corporate headquarters park for scores of national and international companies, wasfounded in commerce more than a century ago when Thomas Eaton built his grist mill on the shores of Wampum Lake. The site is now the centerpiece of the boroughs scenic reservoir and falls at Wampum Park, one of the Eatontowns many facilities for the active and passive recreational enjoyment of its 15,000 residents. Careful preservation of Eatontowns open space areas has made possible construction of sports fields and nature walks, and the preservation of undeveloped open land. Eatontowns small downtown business district is in stark contrast with Monmouth Mall just a few miles south but still in Eatontown. Small and large thrive side by side. Monmouth County's largest employer, the U.S. Army Communications Electronics Command Fort Monmouth has been Eatontown's immediate good neighbor since the carrier pigeon days of World War I through all the years of the Signal Corps to present day space-age communications developed at the Fort. The post was selected by the BRAC Commission in 2005. 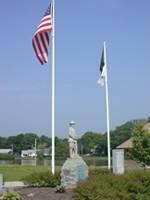 Most Army functions and personnel were moved to Aberdeen, Maryland and Ft. Monmouth was officially closed Sep 15, 2011. If you are interested in finding properties for sale in Eatontown we are here to help. Whether you are a first time home buyer or an investor, having a qualified Eatontown real estate specialist will be a great asset in making your home buying experience more enjoyable. For those thinking about placing your Eatontown home for sale, you can trust that you will receive help pricing and effectively marketing your home. Having a seasoned consultant available to you is beneficial if you are considering investing in Eatontown real estate. If you are thinking about purchasing Eatontown real estate call Carol to see what makes Eatontown not only a great investment, but a wonderful place to live. A unique opportunity to own Eatontown real estate is here in beautiful Monmouth County. 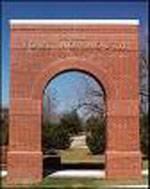 I invite you to visit the Eatontown website. 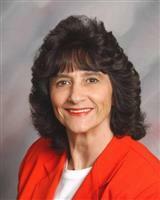 If you would like more information about buying or selling in Eatontown please contact Carol Mazza at 732-768-9404.